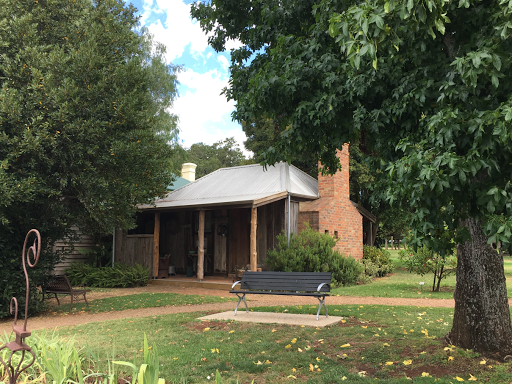 I drove to Mont De Lancey Homestead in Wandin North, about an hour drive north-east of Melbourne, this afternoon. The drive there through Warrandyte is a beautiful one. I've been here a couple of times. It's such a peaceful place. 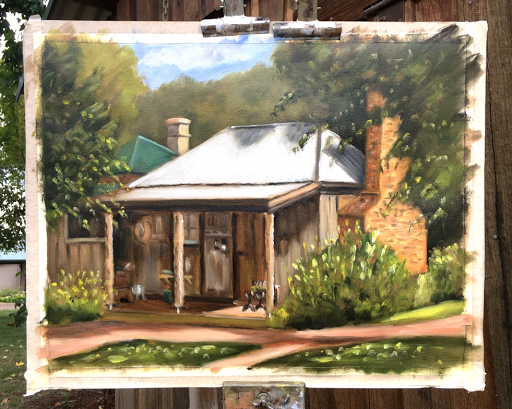 There're many painting spots, difficult to decide, but, ended up setting my easel here. This is an original house built in 1860s. I love its character. Very charming. Alvan and Gill are volunteers, lovely people, and I had a great chat with them. They kindly offered me an opportunity to exhibit this one in a gallery for sale. I'm flattered. I also had a look around and talked to Blacksmiths working in a shed. Fascinating to see them work.